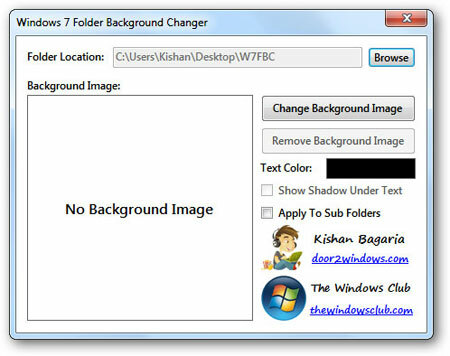 Windows 7 Folder Background Changer is a free portable tool that allows you to change any folder's background & text color in Windows 7/Vista. It's incompatible with Windows 8 and later. Run the tool as administrator. 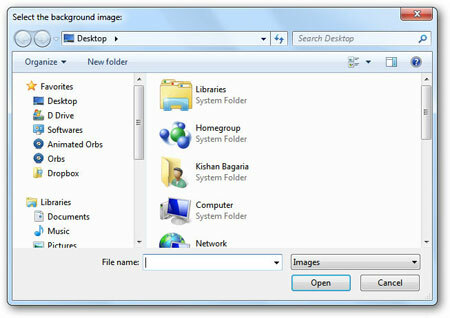 If you have run this tool for the first time then it will restart Explorer. 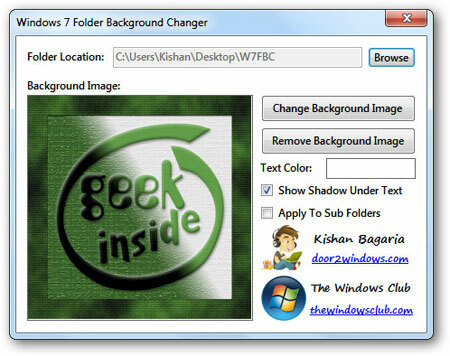 Click on Browse and browse for the folder of which you want to change the background/text color. 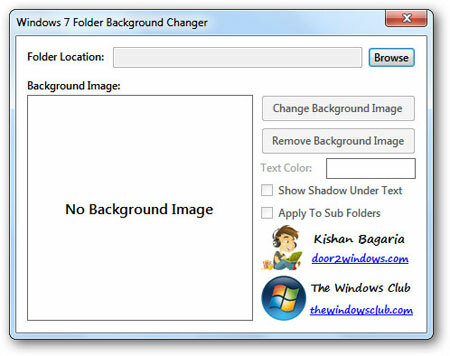 Click on Change Background Image and browse for the image that you want to set as the background of the folder. 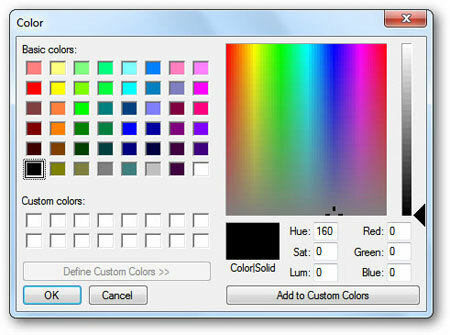 Click on the Black color rectangle and select the color that you want to set as the text color of the folder. 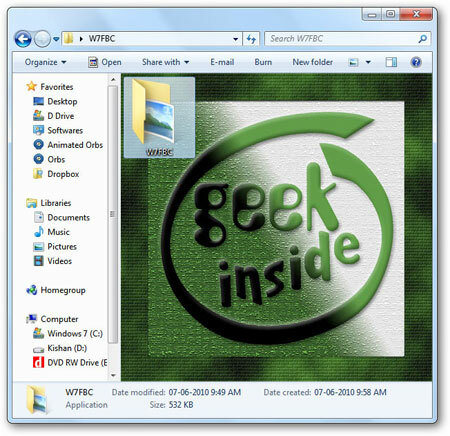 If you want to display a shadow under the text of all the items in the folder, select Show Shadow Under Text. This option will only work with icons view. If you want the style of this folder to be applied to all the sub-folders, select Apply To Sub Folders.